Just a week after the return of the grizzly bear to our newspaper front pages the important distinction between capital and income could not have been more starkly displayed. As this headline from The Age says, Australian companies will pay out an $81.8bn dividend windfall this year, much of which will attract franking credits making it the some of the most tax effective passive income that you can earn. In the midst of the tumbling capital values last week I had the pleasure of again spending time with a year eleven economics class at a Victorian high school. I have a huge passion for working with teachers and their students. It is exciting reaching a group at grass roots level to help them gain their own understanding that goes beyond the myths and the ‘noise’ that is generated to sell newspapers. Getting distracted by incomplete or even miss-leading information doesn’t end when you leave high school. Like many professions, the stresses, strains and time pressures of the job mean teachers often have little time to stop and think about their specific planning needs. The personal experience of watching my own parents hurtle towards retirement with no more information than what was thrown at them in the media instilled in me the belief that it is hugely important to search deeper than the headlines and gain a more accurate picture of what is going on. Students don’t hang back from asking the direct questions. 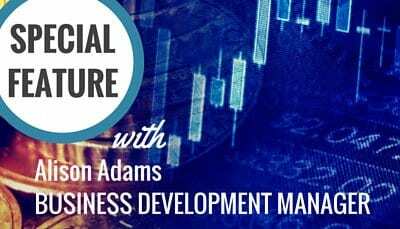 The timing was great as we were able to have a fantastic discussion about the difference between the capital fluctuations of the ASX 200 in comparison to the march of corporate profits and dividends as it unfolded in front of us. I didn’t only have to rely on more than 100 years of data to illustrate my point but could call on the CBA’s announcement of a 5% increase in profits matching a 91 point drop in the market on the same day just two weeks prior. One student wanted to know why the markets fluctuated so wildly when investors should be in search of tax effective passive income to support their lifestyles. He understood the ASX 200 is made up largely of companies that we touch and use every single day including banks, supermarkets, telecoms companies, energy providers and so on. He seemed to appear confused as though he was missing some obvious point or “trick” to the share market; why did people need to panic when history showed corrections were normal, values would increase again and when dividends grew consistently and steadily over time? I’ll let you answer that question. We have been reminded of late, that sudden, sharp pull-backs in equity prices have not gone away. In fact, they have always been with us—not just lately. 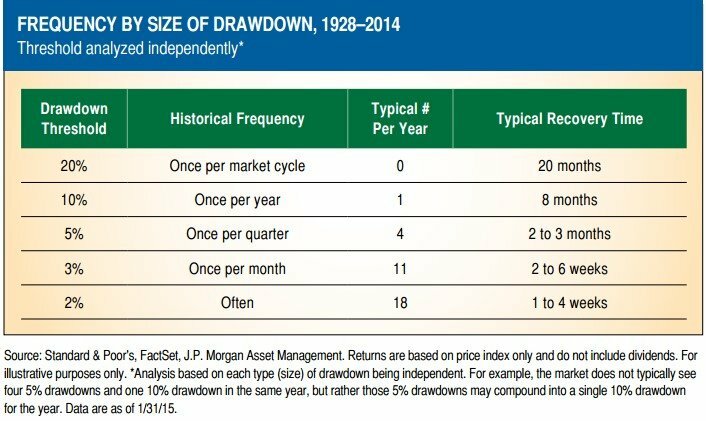 Please refer to table below documenting downturns (drawdowns) since 1928-2014. Note, this is the US market. Downturns are normal. I find it fascinating to watch the way our media report these events. 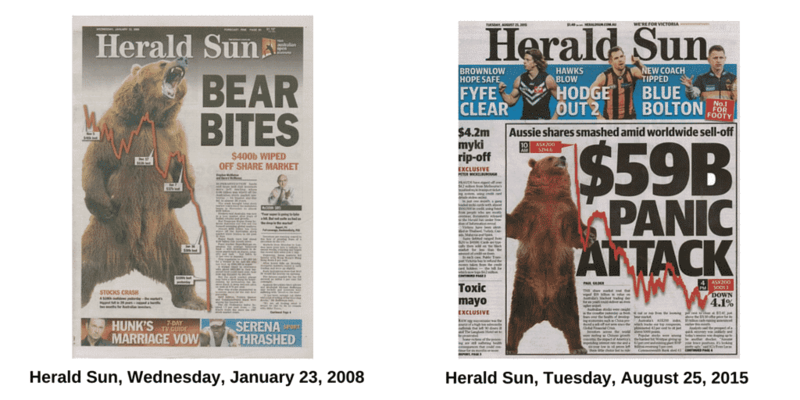 Please refer to the Herald Sun articles below, dated seven and a half years apart—rolling out the same bear image and downward trending line in both articles. Unfortunately many people will panic; it is easy to see why with this sort of reporting. People will respond counter to how they should in order to build wealth. 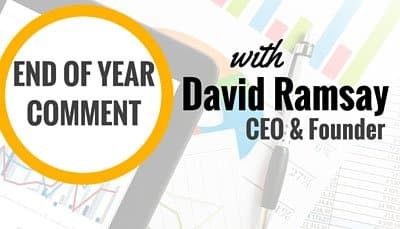 Just as it was in 2008, and every other downturn in history, the correct strategy is simple—hold onto your equity holdings, purchase more of them and wait for your dividends. 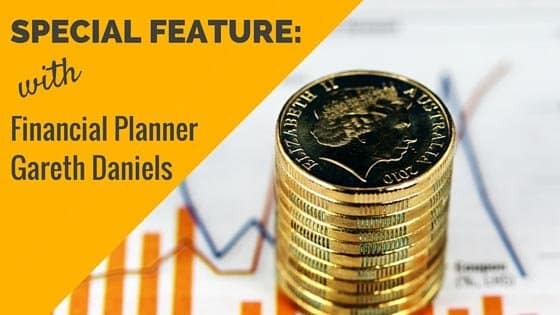 These times bring golden opportunities to build your portfolios and increase your dividend (income) stream. 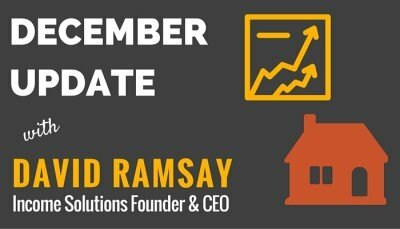 Register now for either Geelong or Melbourne!